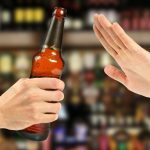 Is your liver functioning normally? 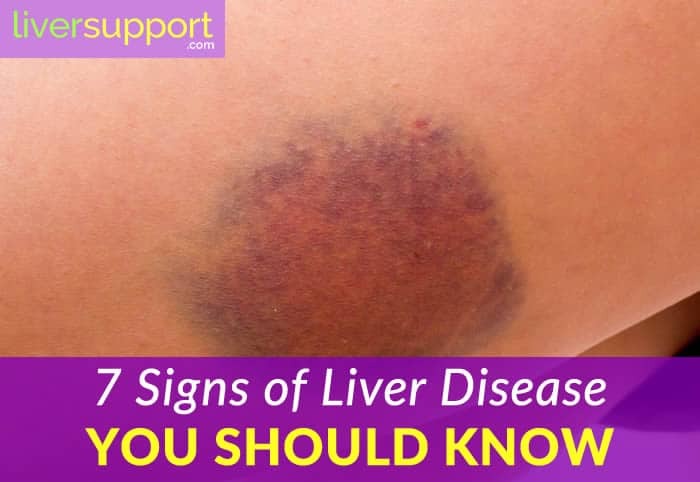 Learn about 7 signs that may be indicative of a liver problem. The largest organ in the body, the liver is responsible for the digestion of lipids, carbohydrates and proteins; for filtering blood to eliminate toxic substances, medications and chemicals, old blood cells; and for the storage and management of glycogen (sugar) in the blood. The liver also produces compounds necessary for clotting, making it an important part of our immune system as well. 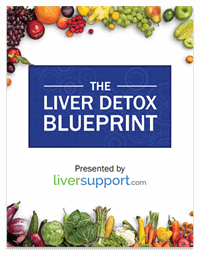 When liver function is compromised, overall health and well being is also compromised. 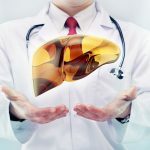 There are many conditions which negatively impact the liver’s health and function, including chronic, long-term alcohol consumption, poor diet, hepatitis infections, and other conditions which cause the body to store excess copper and iron in the liver. When the liver cells become damaged, they attempt to heal themselves. When the cells are damaged repeatedly over time, the liver becomes inflamed and the attempt to heal leads to fibrosis, and eventually to cirrhosis. Cirrhosis of the liver is a serious condition in which permanent scarring interferes with the normal blood flow through the liver and diminishes normal liver function. 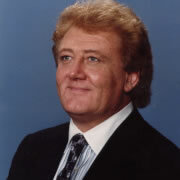 If left untreated at this stage – liver cancer and eventually liver failure may occur. Because the liver is such a vital organ, it is important to know the signs and symptoms of a liver that is not functioning normally. During the early stages of liver disease, there may not be noticeable signs or symptoms, but as the condition progresses symptoms may appear. Sudden weight loss or gain – Sometimes sudden weight loss occurs when the liver is suddenly unable to metabolize carbohydrates, proteins and lipids properly. Other times, weight is gained as the liver becomes slowly overrun and overtaxed. The liver pumps bile into the intestines to dissolve and break down fats, but up to 95% of those bile acids are circulated back to the liver through the ileum (small intestine). If this bile is high in fat as a result of a low fiber diet, the liver becomes overtaxed and fatty (non-alcoholic fatty liver disease – NAFLD) and weight gain occurs. Often, this weight gain occurs first in the upper abdomen, but fat also accumulates throughout the body. 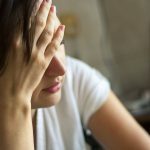 Fatigue – While the reasons for extreme fatigue are not wholly understood, debilitating fatigue and weakness are highly correlated within liver disease patients. Common theories include the impact of complications such as malnutrition, which occur when the liver is unable to metabolize foods, or liver cancer (hepatocellular carcinoma) which develops from long term inflammation and damage to liver cells. Hormonal abnormalities and the complications that arise from diabetes may also play a role, as diabetes is often a major contributor to liver disease. Bruising – The liver produces the compounds necessary for clotting to occur in the body, so when the liver function is impaired the body is unable to clot normally. Early signs of this are when unexplained bruising occurs, as even minor impacts that take place in everyday life create bruises because an inordinate amount of bleeding takes place in the small blood vessels. Jaundice – When the liver breaks down red blood cells, bilirubin is produced. The liver removes bilirubin from the body by expelling it into the intestines. When it is not functioning normally, the bilirubin builds up, and turns the skin and whites of the eyes yellow. Fluid retention – When fibrosis or cirrhosis occurs in the liver, the inflammation and scaring interfere with the normal flow of blood through the liver increasing pressure in the veins. This is called portal hypertension. As a result, pressure in veins builds up and fluid may accumulate in the abdomen, legs and feet as edema. Dark urine – When bilirubin builds up in the body during jaundice, turning the skin and eyes yellow, the kidneys attempt to remove it from the body through urination. The result is very dark urine. Unexplained fever – Often the liver is not functioning properly due to a viral infection such as from the Hepatitis A, B and C. These infections attack the cells in the liver, causing damage and impairing liver functions. The liver is a vital organ and when it is not functioning properly the whole organism suffers. Fortunately, the liver is able to heal and recover remarkably well, and many liver conditions can be minimized and even reversed by taking corrective steps to ensure liver health. Cabot, S. (2016). The liver and weight loss. Liver Doctor. Retrieved on 9/21/16 from https://www.liverdoctor.com/liver-problems/weight-loss/. Mayo Clinic. (2016). Cirrhosis. Mayo Clinic. Retrieved on 9/19/16 from http://www.mayoclinic.org/diseases-conditions/cirrhosis/symptoms-causes/dxc-20187350. Medline Plus. (2016). Cirrhosis. Medline Plus. Retrieved on 9/20/16 from https://medlineplus.gov/ency/article/000255.htm. Medscape. (2016). Factors related to fatigue in patients With cirrhosis before and after liver transplantation. MedScape. Retrieved on 9/20/16 from http://www.medscape.com/viewarticle/757995. NIH. (2016). Cirrhosis. National Institute of Diabetes and Digestive and Kidney Disease. Retrieved on 9/15/16 from https://www.niddk.nih.gov/health-information/health-topics/liver-disease/cirrhosis/Pages/facts.aspx. NIH. (2016). Fatty liver disease (Nonalcoholic Steatohepatitis). National Institute for Diabetes and Digestive and Kidney Diseases. 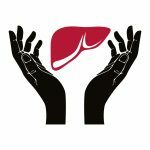 Retrieved on 7/31/16 from https://www.niddk.nih.gov/health-information/health-topics/liver-disease/nonalcoholic-steatohepatitis/pages/facts.aspx. WebMD. (2016). Early signs of liver disease. WebMD. Retrieved on 9/21/16 from http://www.webmd.com/digestive-disorders/cirrhosis-liver?page=2#1.